The giraffe is the tallest animal in the world and is characterised by its long neck and beautiful coat patterns which are entirely unique to each giraffe. 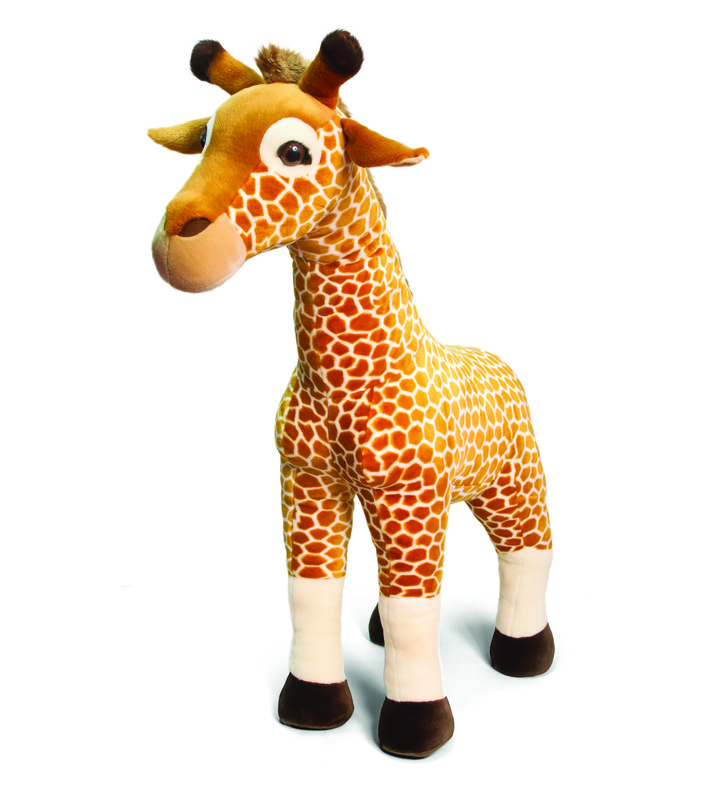 This large giraffe soft toy measures an impressive 60cm and has an adorable embroidered face with button eyes and a soft, patterned coat. One of the world’s most iconic and most loved animal is slowly disappearing. The population has decreased by 36 – 40% over the last 30 years. The giraffe is now listed as ‘Vulnerable’ on the IUCN Red List of Threatened Species. The cause of the decline is due to giraffes being hunted by poachers, illegal hunting and habitat loss. ZSL works with the Kenya Wildlife Service (KWS) to support the development of a giraffe conservation strategy which aims to increase the population of three subspecies that live in Kenya. ZSL provides training and technical support on strategy planning and habitat assessments. Since 1989, ZSL has established and supported wildlife health programmes, camera-trap monitoring, management strategies for protected areas and species such as giraffe, black rhino and elephant.